In 2008, my Ryerson colleague (Prof. T. Antimirova) and I were awarded the 2008 Higher Education HP Grant. This enabled us to create a Mobile HP Computer Lab that introduced tablet technology into undergraduate physics curriculum. The goal of the HP Mobile Science Lab Study is to explore effective ways of using tablet technology in undergraduate science courses through the design of appropriate activities and evaluation of their impact on student learning and their attitudes toward science. More about the Project can be found on the Special Poster. Fall 2008 (Ryerson): HP tablets were used in 2nd year Modern Physics Course in a Medical Physics program, PCS300 (25 students). During the Winter of 2009, the Mobile HP Tablet Lab were used in the third year Electricity and Magnetism Course, PCS228 (40 students). Thanks to the HP grant, the students were able to use computer simulations during interactive studio-like lessons, explore abstract physics concepts and share their ideas with classmates and the instructors. Continuous use of tablets during class emphasized conceptual learning rather than route memorization, as the students were able to provide the instructor with continuous feedback using an InkSurvey and learned how to be active learners in a physics class via using a Classroom Presenter software. Fall 2009 (Ryerson): HP tablets were expanded to our large 1st year courses (150+ students): Physics for Sciences PCS120 and Physics for Architecture Students PCS107. In these courses the tablets were used during tutorials and small group activities. Moreover, we began a project where Camtasia Studio was used to create video clips addressing student difficulties in undergraduate physics courses. 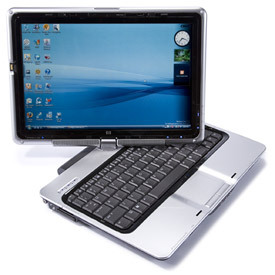 The HP tablets were continued to be used in in PCS300 and PCS228 courses piloted in 2008-2009 school year. Tablets were also used by a number of faculty members to engage students during the lectures and labs (upper year Quantum Mechanics Course). Winter 2010 (UBC): In January 2010, I started a new position at the University of British Columbia. I taught an online course ETEC 533 – Educational Technology Course for Science and Mathematics Teachers. I used a tablet as a tool to engage my students and also as a topic for discussion as many of my students have used tablets or planned to start using them in their teaching. This was a great opportunity for all of us as it also allowed me to bring the Ryerson Experience to UBC Teacher Education Program! We are working on integrating tablets in the Teacher Education Program at UBC. To do so, I recently applied for another HP Education Technology Grant – to expand Ryerson experience to teacher education. The results of the HP Mobile lab implementation have been widely reported. Antimirova, T., & Milner-Bolotin, M. (2010). Enhancing Student Learning: Using Tablet PCs in Electricity and Magnetism. Paper presented at the 2010 American Association of Physics Teachers Winter Meeting. Milner-Bolotin, M., & Antimirova, T. (2010). Enhancing Student Learning: Using Tablet PCs in Modern Physics Class. Paper presented at the 2010 American Association of Physics Teachers Winter Meeting. 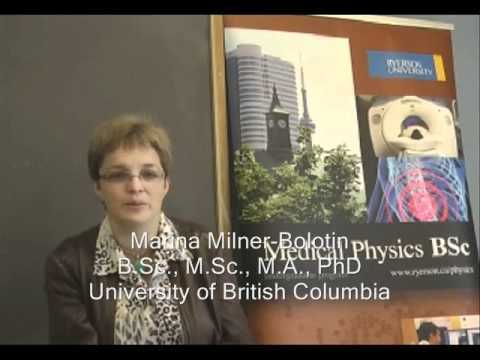 Milner-Bolotin, M., Antimirova, T., Andriati, R., & Berezovsky, T. (2009). Technology as a Lens for Examining Instructor’s Pedagogical Content Knowledge. Paper presented at the Physics Education Research Conference. Milner-Bolotin, M., Antimirova, T., & Zambito, L. (2009). HP Grants for Tablet Technologies in Science Teaching: From Dream to Innovation: Part I. Paper presented at the Canadian Association of Physicists Congress 2009. Milner-Bolotin, M., Antimirova, T., & Zambito, L. (2009). HP Grants for Tablet Technologies in Science Teaching: From Dream to Innovation: Part II. Paper presented at the Canadian Association of Physicists Congress 2009. Milner-Bolotin, M., & Antimirova, T. (2009). HP Mobile Science Lab: Tablet PCs for Science Teaching. Paper presented at the Ryerson Faculty Conference: Shaping our Future: Teaching Excellence in a Changing Climate. Milner-Bolotin, M., & Carvalho, J. (2009). Teaching Studio-Based Second-Year Modern Physics Course with Technology. Paper presented at the Winter National Meeting of the American Association of Physics Teachers.